Hello and welcome to Culture Consumption, our weekly look at some of the best music, movies, television, books, and pop culture! 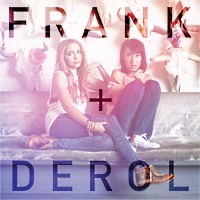 Codi Caraco and Brandi Cyrus make up Frank + Derol, a talented duo who released their 4-song debut EP earlier this month. The songs range from pure addictive pop ("Let It Go") to haunting but no less addictive lo-fi ("Barely Love You Too"). 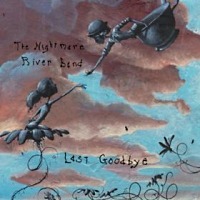 This EP serves as a welcome introduction to the band and and makes me long for a full-length debut. Consume Now: "Let It Go" and "Barely Love You Too"
I don't know how you would classify this band -- country? folk? one of these with an alt- modifier? -- but I really don't care. I was a big fan of their 2009 debut, Call The Cops!, and I'm an even bigger fan of Last Goodbye, which takes everything great about the debut and adds a certain maturity to their sound. And nowhere is this more evident than in the anthem "Last Goodbye," a five-minute sing-along about heartbreak. Consume Now: "Last Goodbye," "Walk On," "Goodbye To Your Friends, "Why Don't You Love Me?" Jaws was my Star Wars. I loved everything about this movie. If it's on TV (even heavily edited) when I'm flipping channels, I'll leave it on until the end. 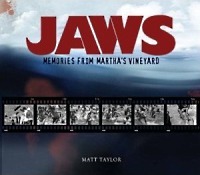 And if you're like me and Jaws is your religion when it comes to movies, then Jaws: Memories From Martha's Vineyard will be your Bible. It's 312 pages of images, newspaper clippings, pieces of the script, set designs, and first-person accounts from those involved with the filming. It's an astoundingly massive, in-depth look at one of the greatest movies of all time and by the time you're through devouring it, you might actually believe you were on set during the filming. Plus, since it weighs approximately twenty-five pounds, you can also use it to bludgeon your attacker if you ever find yourself face-to-face with a great white. Bonus! I don't watch Big Brother. Seriously, I don't. But if I did (once again, I don't), I would have to say that Dan is one of the wiliest and most clever reality show contestants I have ever seen (But once again, I don't watch Big Brother. I don't even know who this Dan person is.). The New Normal is the funniest new show I've seen this season. The little girl, the gay couple, the pregnant mom -- I love them all. But by far the funniest character, and one of the funniest characters on a network sitcom in years, is Ellen Barkin's Nana. She's unapologetically un-PC and every word out of her mouth will simultaneously make you cringe and laugh.